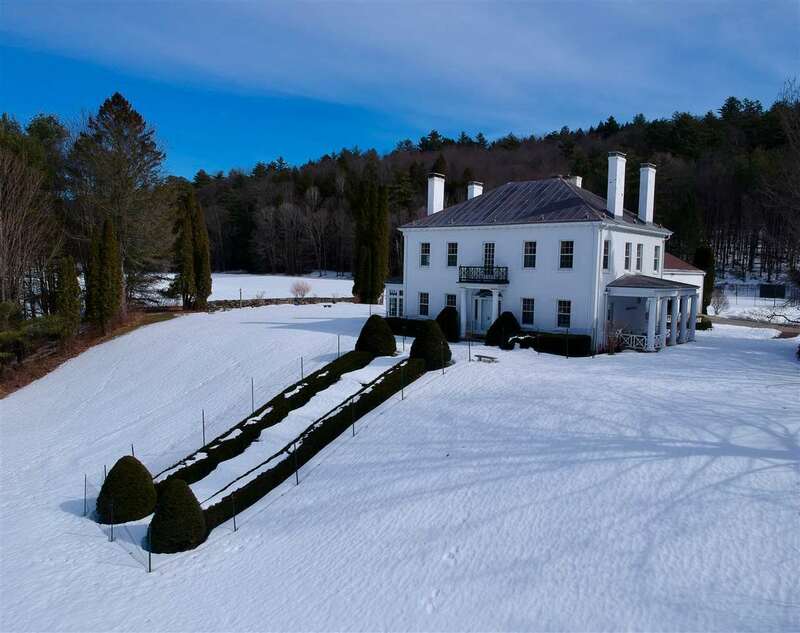 Widely acclaimed as the finest of the Orford Ridge houses upon its completion in 1829, Six Chimneys offers one of the country&apos;s best examples of Federal-style architecture set amidst some of the most scenic countryside in the Connecticut River Valley. Based on a design by Asher Benjamin, the highly influential Boston architect and carpenter, the superbly detailed and perfectly proportioned residence is especially noteworthy for its intact period details, fine mouldings, lustrous hardwood floors and splendid interiors. The estate setting encompasses more than 14 acres of completely private grounds with 9 acres of woodlands, extensive perennial gardens, landscaped lawns, mature shade trees and stone walls. 20 minutes north of Hanover, NH, home to Dartmouth College and approximately 140 miles north of Boston, Six Chimneys is close to fine shopping and dining, three country clubs, the Dartmouth Skiway and Cannon Mountain. Direct access to Lake Morey, Lake Fairlee and miles of recreational possibilities on the Connecticut River, there is at a boat launch less than 1/4 mile from the property.